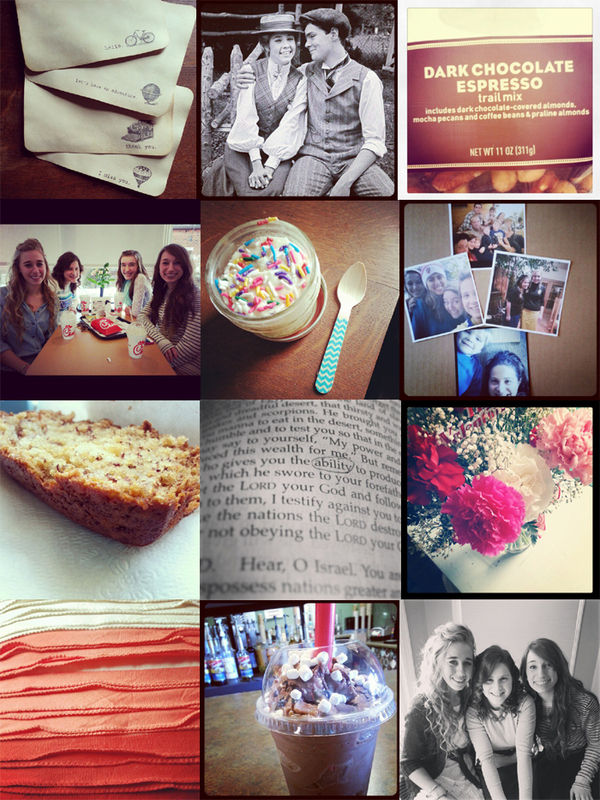 Hannah Elise: february : instagrams! well, I had planned to do a different post today, but due to some issues with photobucket I'm just posting this instagram roundup! but, praise the Lord--I think everything is back to normal and I can post more soon! and I'm so glad March is officially here..yayyy! March promises spring...although its weird to think Easter and St. Patrick's Day are both in this month. 2. I'm sorry, but I don't think I'll ever get over Anne + Gilbert...sweetest couple ever. 3. this stuff is like really good--go to Target right now and buy some, you'll thank me later. 4. me with my Illinois friends from last weekend..so much fun! you can read about some of our awkward + awesome moments here. 5. last week some dear friends express-mailed me a cupcake. I was blown away--who knew you could do that?! 7. world's best banana bread, people--secret? sour cream. 9. my Dad always gets flowers for my Mom and I on Valentine's day--most of mine are still blooming! 11. okay, so I have this thing with whipped cream...it has to be really good if I'm gonna get it on my shake or frappe...soo lately I just always ask for no whipped cream. 12. my girrrrls! loved, loved hanging out with these two ladies Summer + Lauren. 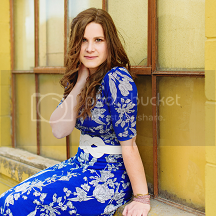 can't wait to blog the pictures I took of them soon--once photobucket lets me, haha! p.s. Jamie Delaine has a fabulous new blog+website, AND a giveaway!